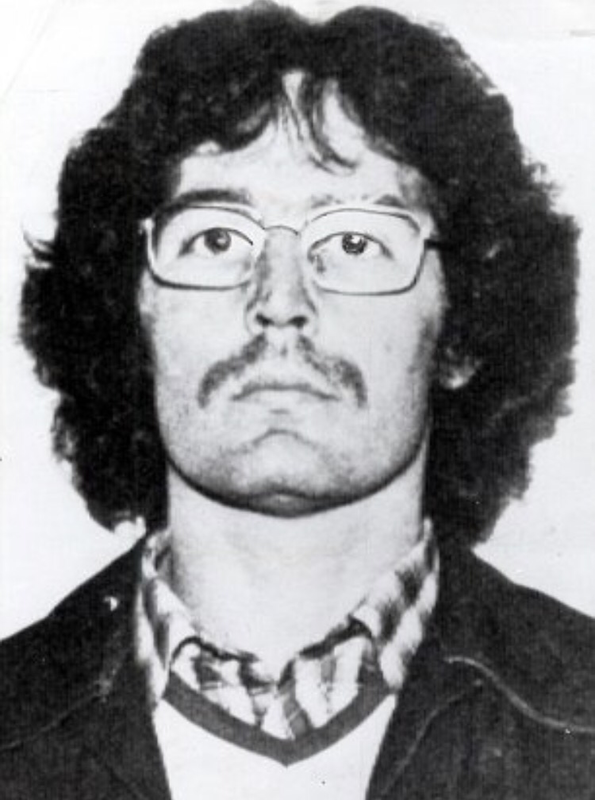 Convicted IRA bomber Gerry Kelly today told the BBC Talk Back program that an individual being sentenced to prison was no longer a member of the IRA. In this context the Sinn Fein MLA stated he left the IRA when he went into prison. Despite this Mr Kelly’s own account of the Maze escape claims that he advised a prison guard- whom he later shot in the head- that the escape was an “IRA operation”. It is not clear what Mr Kelly was doing taking part in an IRA operation given that in his account on BBC Talk Back he claimed that he left the IRA when he went into jail. There is further confusion around Mr Kelly’s assertion that he left the IRA due to the fact that he held senior positions within the IRA Army Council after his release from prison. In this regard it may be prudent to ask Mr Kelly whether he re-joined the IRA prior to taking part in the Maze escape “operation”. It seems highly improbable that Gerry Kelly left the IRA when he went into prison and then was somehow asked to take part in a high level IRA ‘operation’ as some kind of guest. So either Mr Kelly re-joined the IRA whilst inside prison or else he lied on BBC Talk Back and in this regard the question around when he left the terror group remains unanswered. 146 Responses to "NEWS: Kelly’s own account contradicts his claim he left the IRA "
Hey! This is my 1st comment here so I just wanted to give a quick shout out and say I genuinely enjoy reading through your blog posts. Can you recommend any other blogs/websites/forums that cover the same subjects? Thanks for your time! After study a number of of the blog posts on your web site now, and I truly like your method of blogging. I bookmarked it to my bookmark website listing and might be checking again soon. Pls take a look at my website as effectively and let me know what you think. F*ckin’ amazing things here. I am very happy to look your article. Thank you a lot and i’m having a look forward to contact you. Will you please drop me a e-mail? Good day! I know this is kinda off topic but I’d figured I’d ask. Would you be interested in trading links or maybe guest writing a blog post or vice-versa? My site discusses a lot of the same topics as yours and I think we could greatly benefit from each other. If you’re interested feel free to send me an e-mail. I look forward to hearing from you! Awesome blog by the way! After study just a few of the blog posts in your website now, and I actually like your approach of blogging. I bookmarked it to my bookmark web site checklist and shall be checking back soon. Pls take a look at my web page as well and let me know what you think. Magnificent goods from you, man. I’ve understand your stuff previous to and you’re just extremely great. I actually like what you have acquired here, really like what you are stating and the way in which you say it. You make it enjoyable and you still care for to keep it wise. I can not wait to read far more from you. This is really a terrific site. Thank you, I’ve been looking for details about this subject matter for ages and yours is the best I’ve found so far. Have you ever considered about including a little bit more than just your articles? I mean, what you say is important and all. But imagine if you added some great visuals or video clips to give your posts more, “pop”! Your content is excellent but with pics and clips, this website could undeniably be one of the greatest in its field. Good blog! Excellent site. Lots of helpful information here. I am sending it to some buddies ans additionally sharing in delicious. And naturally, thank you in your effort! I used to be very pleased to search out this web-site.I needed to thanks to your time for this glorious read!! I positively having fun with every little bit of it and I have you bookmarked to check out new stuff you weblog post. It’s truly a nice and useful piece of info. I’m happy that you just shared this helpful info with us. Please keep us up to date like this. Thank you for sharing. Can I simply say what a relief to search out someone who truly knows what theyre talking about on the internet. You definitely know how one can convey an issue to gentle and make it important. More folks need to learn this and perceive this facet of the story. I cant imagine youre not more in style because you positively have the gift. My spouse and I stumbled over here different page and thought I should check things out. I like what I see so now i’m following you. Look forward to going over your web page repeatedly. Have you ever considered about including a little bit more than just your articles? I mean, what you say is fundamental and all. However think of if you added some great photos or videos to give your posts more, “pop”! Your content is excellent but with images and video clips, this website could certainly be one of the most beneficial in its niche. Excellent blog! Hey very cool site!! Man .. Excellent .. Amazing .. I will bookmark your website and take the feeds also…I’m happy to find so many useful info here in the post, we need work out more strategies in this regard, thanks for sharing. . . . . .
Hi! Someone in my Myspace group shared this website with us so I came to give it a look. I’m definitely loving the information. I’m bookmarking and will be tweeting this to my followers! Terrific blog and superb style and design. I have to show some appreciation to the writer for bailing me out of such a challenge. Right after surfing through the the web and getting methods which are not pleasant, I assumed my life was gone. Living minus the solutions to the difficulties you have resolved as a result of this write-up is a serious case, and the ones which may have adversely affected my career if I had not discovered your site. Your primary natural talent and kindness in controlling the whole lot was tremendous. I am not sure what I would’ve done if I hadn’t come across such a subject like this. I’m able to at this moment relish my future. Thanks so much for the skilled and results-oriented help. I will not hesitate to endorse your site to anyone who needs and wants care about this problem.